Visits. 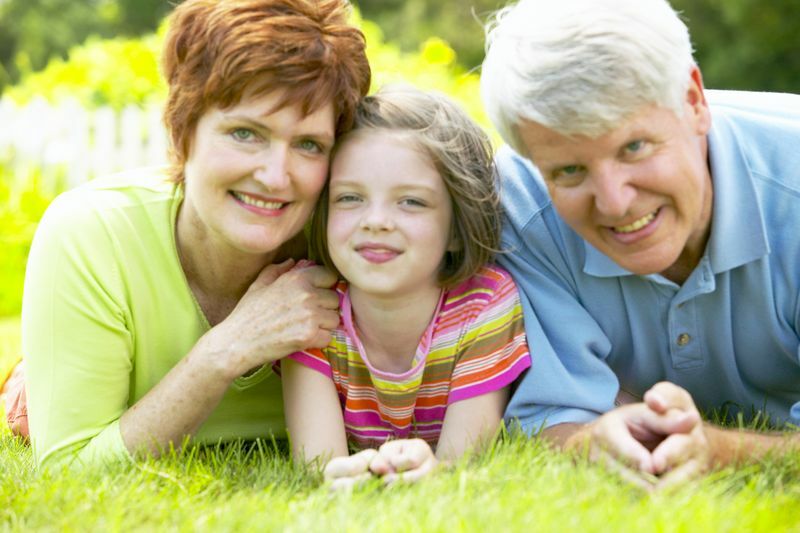 At least once or twice a year try to manage a visit to each grandparent or set of grandparents. keep the costs down by travelling off-season, staying alert for airfare specials, considering rail travel, or driving. Or invite the grandparent to come to you. To keep togetherness from getting everyone ís nerves, plan plenty of fun outings (to amusement parks, museums, puppet shows and so one). The telephone. Long distance is the next best thing to being there, especially now that best thing to being there, especially plans and Internet calling services like Skype are relatively inexpensive – that is, if your toddlers love to babble into the receiver, others won’t go by listening to the disembodied voice on the other end of the line. But since you never know when a resistant toddler will suddenly agree to speak into a phone, keep on trying. The photo album. Make a special album for your toddler (with photos inserted in plastic so they can’t be mangled) of grandparents and other family members. Pull out the album often and connect names to the faces in the photos, talk a little bit about them remind your toddler about gifts they’ve sent, about past visits, about holidays coming up that you’ll be sharing. Or make a slide show of digital pictures your child can look at on the computer screen. The digital audio recorder. who says that Grandma can’t tuck Junior in with his favourite bedtime story just because she’s 2,000 miles away? She can if she records the tale on an mp3 and emails it to you. Exchanged audio files are a wonderful way of between visits. Grandparents can read simple books aloud or sing lullabies to younger toddlers; later, they can add stories about when Mummy or Daddy were little, or just talk about something that ís going on in their lives (the weather, holidays celebrations, a trip they’ve just taken). Toddlers can babble, sing, giggle, moo like a cow, or bark like a dog into a digital recorder. Even if the sounds they make are incomprehensible, they’re likely to be music to grandparents ears. Travel with grandparents. Some toddlers can enjoy spending the night at a hotel or resort with Grandma and Grandpa. (Toddlers experiencing, separation anxiety or stranger anxiety aren’t good candidates for trips away from their parents; wait until a clingy toddler fells more secure before attempting such a rendezvous.) Preparation should include at least one night, and preferably a few nights, spent together in your home. The first trip should not take the young traveler very far afield, since an attack of homesickness may cause a sudden cancellation. But once a couple of overnighters have been successful, a weakened, or even a long weakened can be attempted. Trips to child-centered resorts are best when young children are young because these holidays havens provide hold-appropriate food, entertainment, and sometimes even child care.